Rome is a fantastic city that is the dearest to me because I lived there for 2 years during my Masters! I am very happy you are going to Rome too! Be it your first or your 10th time – I am sure you will find this post useful. Now, this article is not about how wonderful the city is, we both know it already, don’t we? Rome is a popular destination and it can get REALLY crowded at times, trust me. And, because I really want you to visit Rome, I have collected all the available information about how to avoid the queues below. Some of my regular readers already know that I strongly dislike queues and I do everything possible to avoid the lines. I already have revealed many tricks for skipping lines to Paris and Barcelona and now it is time for the eternal city! Many people told me that they didn’t feel the city, that it was too touristic, and this is too bad, because in my opinion Rome is one of the most beautiful cities on Earth! If you do not prepare in advance you will definitely come back home absolutely charmed by this city. You do not want to spend precious vacation time waiting in the line under the hot sun, do you? 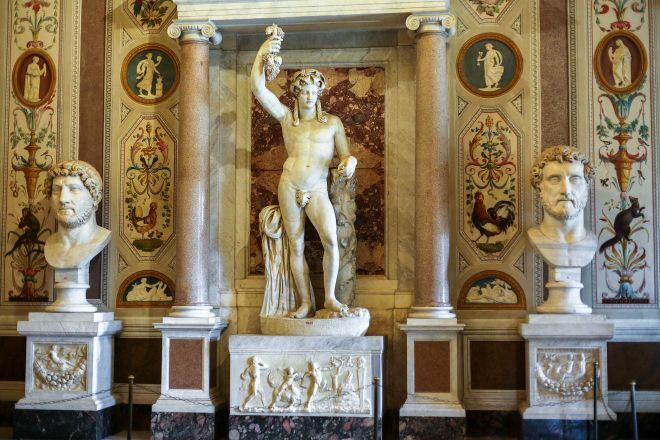 BONUS: How to see other (free) attractions in Rome without people? 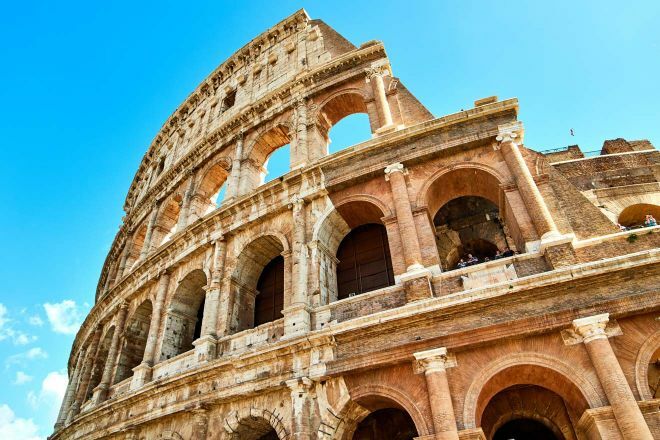 Even if it might seem crazy crowded, you should not miss the top attraction in entire Italy – the famous Colosseo! Colosseum averages in around 11 000 visitors a day and this number goes muuuuuuuch higher during the season – to 30 000 people a day! 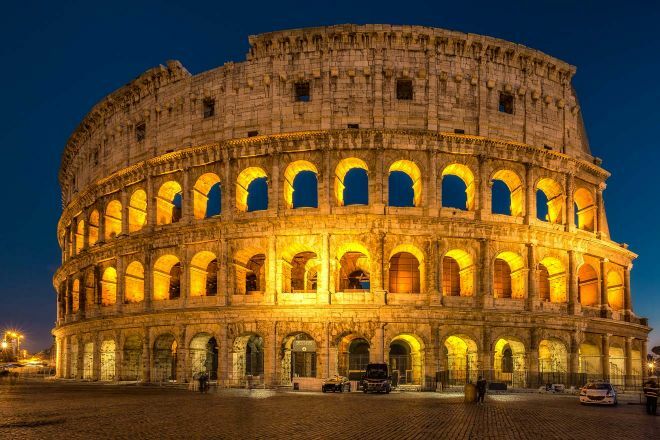 It is a bit confusing at first, so let me explain: when you buy a ticket for the Colosseum, regardless of what option you choose, you will automatically have the Roman Forum included as well. That is just how it works, it is basically one attraction. 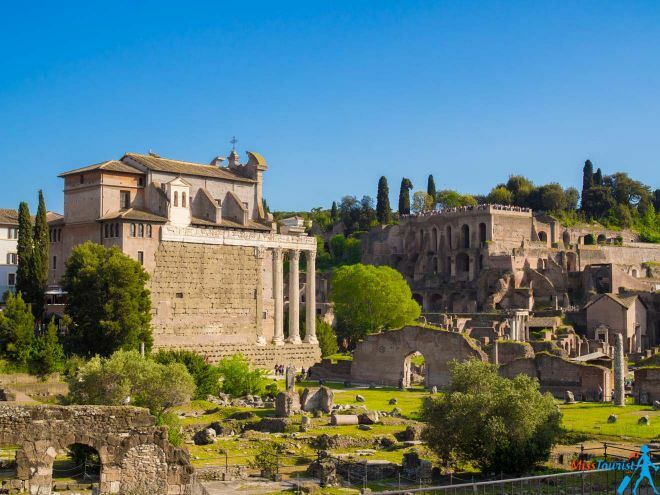 The Roman Forum, in its tour includes Palatino Hill and together they are ancient ruins located right in front of the Colosseum. They definitely deserve at least a short visit! As I said, the ticket for the Colosseum also gets you into the Forum and the Palatine Hill, and vice versa. So, what does it mean for us, smart travelers? I recommend using the Foro Romano entrance (located at the end of Via Cavour, see the map above), there is usually almost no one there. 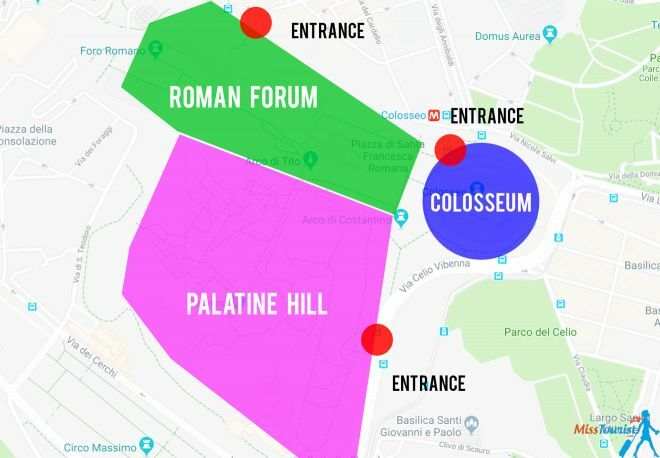 Once you finish with Foro Romano (the Roman Forum), go to the Entrance for Colosseum and you will enter without the queue because you already have your ticket! By the way, you can use your ticket the next day as well, it is valid for 48 hours, so no need to visit both attractions in one day if you feel tired. PRICE: The ticket costs 12€ and does not matter where you buy it. This is the official website, (yes, do not mind the strange web address; this is actually the official site). The price for the full ticket is 14€ (2€ higher than buying at the place because of a “reservation fee”. Get ready for these fees, they are apparently very normal for Rome). The price includes an audio guide too. Print the pdf version and bring it to ticket-holders-only booths just inside the Colosseum door and it will be transferred to a ticket right there. If you are (or your kids) are less than 18 years old, you will get in for free! NOTE: You will still NOT skip the security line, but you will go directly to the reservation desk, where you will collect your ticket. NOTE 2: I have heard that even if you buy tickets online, you might need to wait because the capacity of the place is 3 000 people and even if your ticket has a specific time, you might be asked to wait. NOTE 3: As I said, the audio guide is included, but you might also try this amazing free audio guide here which in my opinion is more interesting. It is much more interesting to discover something as ancient as Colosseum with a knowledgeable guide, trust me! Having a live guide AND not having to worry about staying in line is the best option in my opinion. Not only you will enter through a special group entrance, your security line wait will be cut down to almost 0. 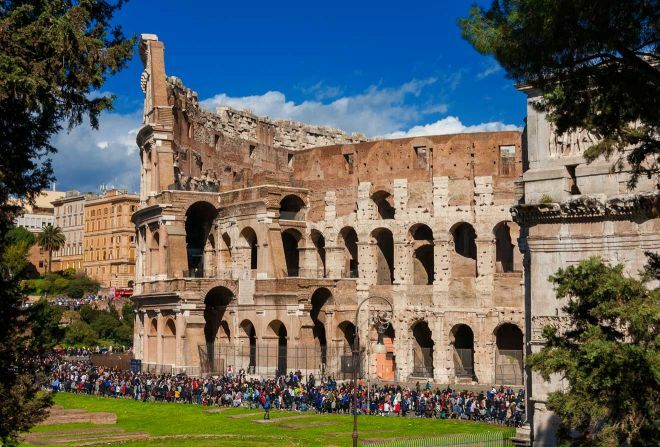 There are so many Colosseum tours out there, so which tour to choose? I recommend taking a small tour with access to restricted areas closed for the general public. 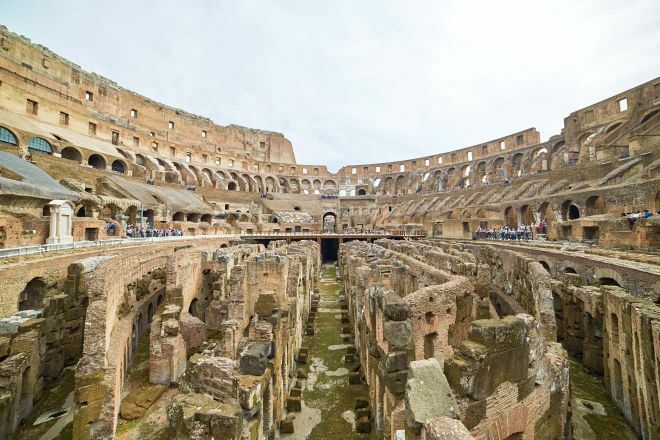 Your tour guide will take you underground where the wild animals used to be kept and also all the way up to the 3rdlevel of Colosseum for an amazing view! NOTE: If you are searching for a good Vatican + Colosseum combined tour, COMBO – Colosseum AND Vatican Museum skip the line can be booked here (it is around 70€ per person depending on the date, which is actually a pretty good deal). If you would like to explore Colosseum at your own pace with a knowledgeable guide, this exclusive private tour is for you. Naturally, there is no waiting involved, you will be taken to all the secret spots usually unavailable for the public, there is no rush and the guide will be ready to answer any of your questions! Getting one of those Roma Passes might be a great solution for skipping the line to Colosseum and numerous others important sight of Rome. There are 4 touristic passes on the market right now, but only 3 of them actually save you money. I have a detailed comparison with sample calculations for each of the passes here. 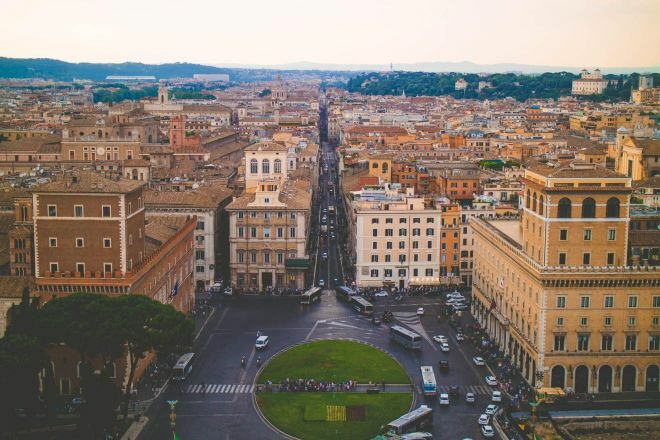 Rome City Pass – you can get in without the queue, get transportation from/to the airport and many other benefits, I explain the advantages below. This pass is pretty cool because it is 100% mobile, so you do not need to pick it up from somewhere. The price of the pass is 65€ and it totally worth the money if you will use what it offers. 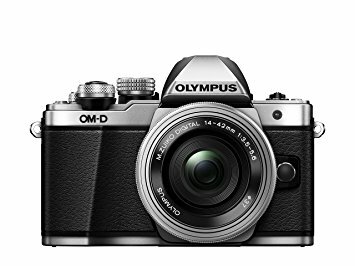 Please see a sample calculation on how much you can save in this post. 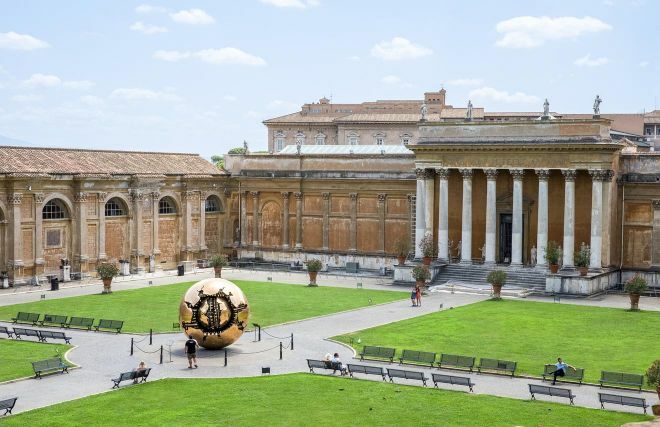 OMNIA Pass – if you are going to Vatican Museum as well, this pass will save you over 10€ per person and hours of waiting in lines. 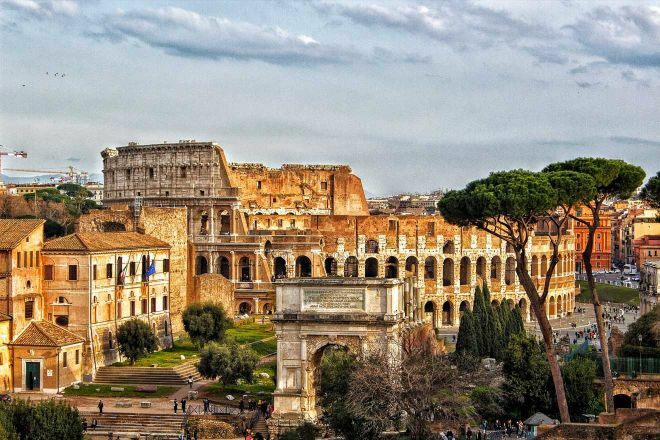 Roma Pass that can get you to the Colosseum, but the saving it would give you is just 1,5. I am not sure it is worth your time picking up the pass, to be honest. The tour starts at 9 30 pm and lasts for 2,5 hours. 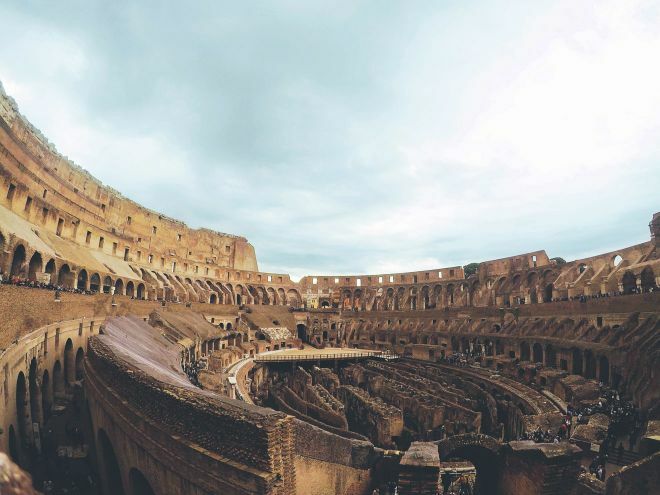 At this time of night, Colosseum is virtually empty so you will have a rare experience as your guide leads you around telling you stories about Roman emperors and mighty gladiators! NOTE: Only a handful of groups are allowed, so it is a much more personal experience. Sometimes “Pay more to see more” approach is really worth it! 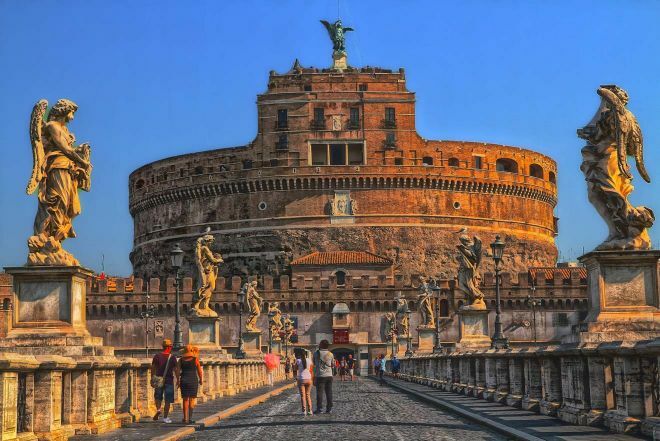 I wish these tours existed when I lived in Rome, I am sure this is an unforgettable experience! PRICE:79€ per person. I think this is the best tour on the market at the moment, and you get to see the most popular attraction of Italy without the crowds! Living in Rome for 2 years allowed me to discover some nice spots that are not so obvious for the first-time-comers. For example, do you already know where to take a picture with this view? Not many tourists know about it, and meanwhile, it offers the best view to Colosseo in my opinion! Go to the metro station called “Colosseo” (right in front of the Colosseum) -> there is an escalator on the left of the turnstiles (do not pass them) -> take the escalator -> the view is right in front of you or there is one more good point that is right behind you, it is on a pedestrian bridge. You can also see the whole thing recorded on the video for your convenience, just go to my Instagram page and check my “Highlights” section, there is one about Rome and there are many more tips on Rome including this one! Musei Vaticani display one of the richest collection of art in the world! 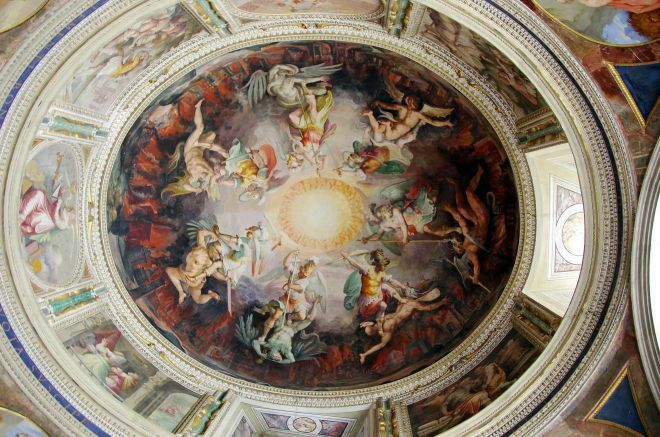 You will see the Sistine Chapel decorated by Michelangelo, masterpieces by Raphael, the most important art works from the Renaissance period, a gallery of maps, paintings of Caravaggio and much more! This place can’t be missed even if you are not that much into museums, trust me! The museums are only a 5-minute walk from the St. Peter Basilica, the place we will talk about right after, as it also has long queues. 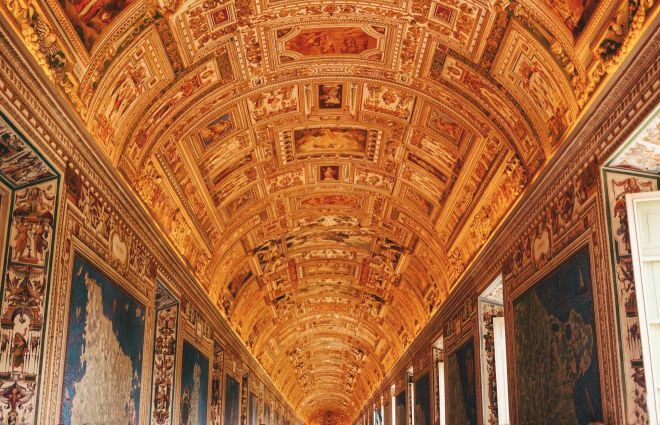 Vatican Museum is one of the most popular museums in the world – it hosted over 6 million people only in 2017 alone! This is insane and that is why the line to enter can be as long as 4 hours, brace yourselves! NOTE: The entry to some part of the museum – Sistine Chapel included, is not allowed in low cut or sleeveless clothing, shorts, miniskirts and hats. Please take a light scarf with you to cover yourself if it is too hot outside. NOTE 2: The museums closes at 6 pm, but please come before 4 pm, as this is the final allowed entry time. You will be required to leave at 5 30. Usuall,y the museum is closed on Sundays, except the first Sunday of each month when the entrance is free for everyone (I highly do NOT recommend going, as it will be a complete madness and you won’t be able to enjoy the museum). You can consult the opening times here. While it is really worth it to see the masterpieces in the museum, I doubt you want to spend that much time in the queue and spoil your well-deserved vacation. The ticket to the Vatican museum is 17€ if you buy it at the place. But I am sure you don’t want to wait in the line for 2-3 hours, so this is not even mentioned as a solution in this post. You can buy your tickets online with a booking fee of 4€ per ticket, so, it will be 21 instead of 17. This reservation fee holds true for all the other options of skipping the line I am going to mention – it is always 4€ per person more expensive than buying at the gate, no way to escape it. Is it worth it? I would say so, because you save your precious time (which is at least a couple of hours in the line under the hot sun). You can buy your ticket directly from the official site. If you don’t see tickets for the desired dates on the official website (very likely if you book last minute), try GetYourGuide, this company helped me so many times to get tickets last minute! No idea how they do it! The price is even a bit lower from the official site in case you would take the audio guide (and you should!). You do not need to print the ticket this time, you can just show the electronic voucher, they will scan it directly from your smartphone. PRO TIP: a good time to go would be an early morning on Wednesday as many people will be at the Basilica for Pope’s audience and they will start flocking in the museum only after 11 a.m.
PRICE: 21€ (17 + 4 online booking fee per person) + optional audio guide 7€ (they also have a special audio guide for kids for 5€!). The price is 8€ for students up to 25 years old (you will need to present a valid student ID at the entrance). As usual, if there are no tickets on the official site left for your dates, try here, for a couple of extra euros you will probably buy your tickets! NOTE 2: If you are visiting Vatican museum with kids, there are baby changing stations and elevators to move your stroller between the floors. 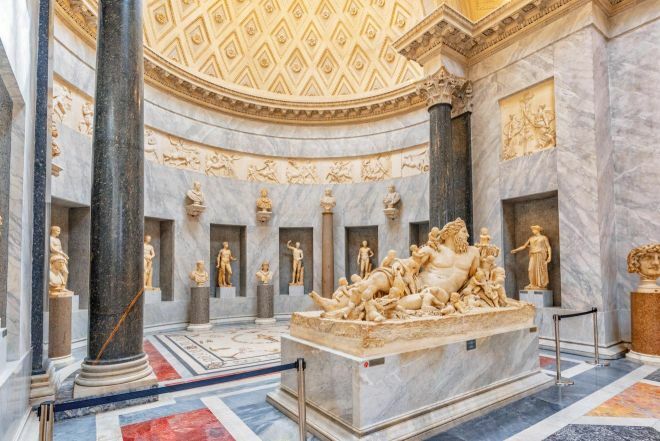 Musei Vaticani is one of those museums that is worth visiting with a knowledgeable guide and tour groups get to go directly to the entrance cutting the line, so it is a win-win for you! A guided group tour is 33€ for the 2 hours tour on the official site. Attention! No one can bypass the security line (don’t trust the companies that tell you otherwise), you might still need to wait for some time. 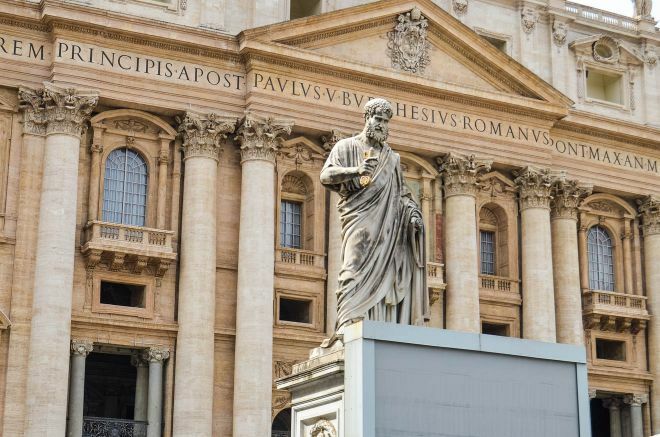 Groups can also use a special separate entrance to enter the Saint Peter Basilica without the line right after the Sistine Chapel if you get a combo Vatican + Basilica tours. Individuals are not allowed to do it, they will have to stay in the line all over again. Getting a private tour is a more exclusive albeit more expensive option. 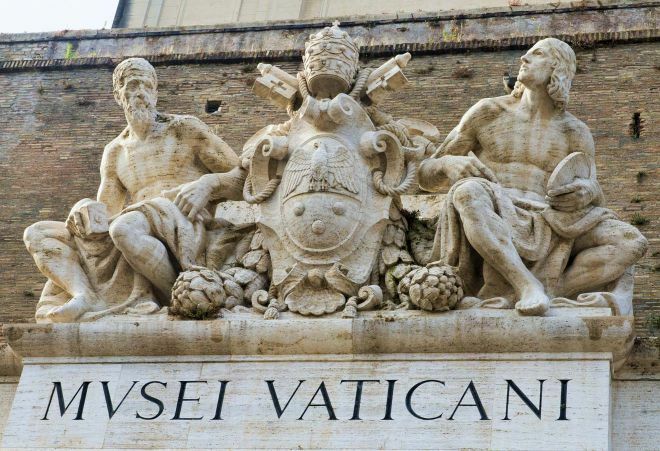 Here is a classic private tour of Vatican that will show you all the highlights in 3 hours, get you to some closed-access zones and, of course, you will get to Saint Peter’s Cathedral without the queue as well. 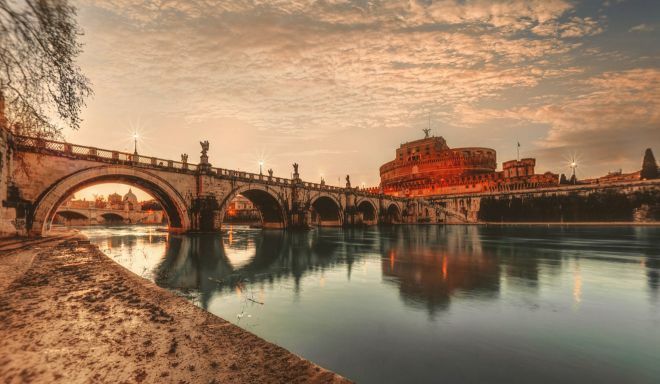 The price is 113€ and along with the skip-the-lines, you will also get a discounted entrance to more than 30 attractions of Rome, get a hop-on/hop-off bus pass and unlimited transportation in the city! If this sounds like a good deal, you can book your card here (the card is fully mobile, so no need to waste your time to pick it up somewhere). 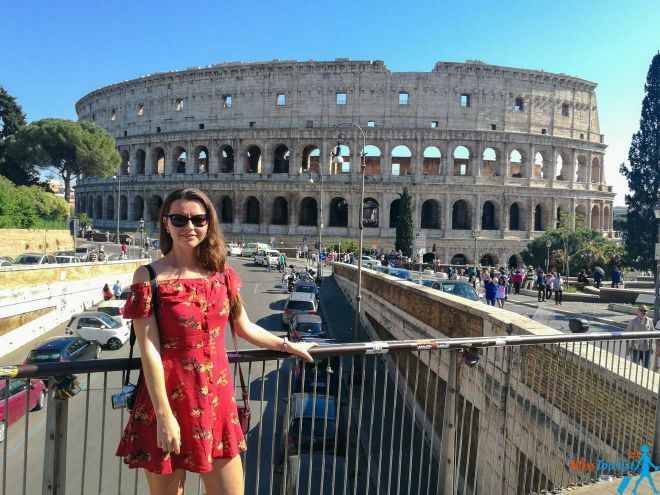 More information about all the available tourist passes in Rome and a sample calculation on how much you can save is here in this post. 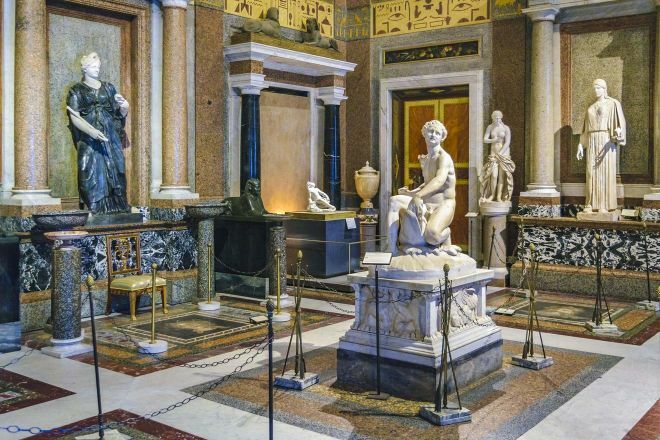 If you are visiting Rome from April to October, you can enjoy an amazing opportunity of visiting the museums after it is officially closed for the public! On top of that, you will be able to enjoy a concert inside the Vatican. 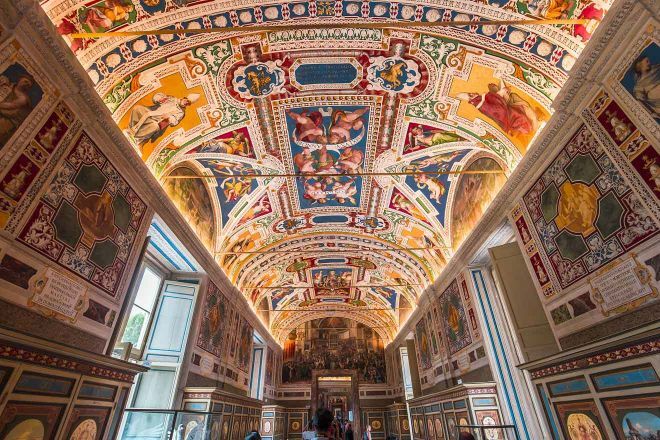 Also, you will get access to some areas normally closed to the public and, of course, see the Sistine Chapel without the crowds – all of this for the same price as the one during the daytime. ATTENTION: this tour is only available on Friday nights from April to October and should be booked in advance. Time – from 7 to 11 pm, final entry is at 9 30 pm. 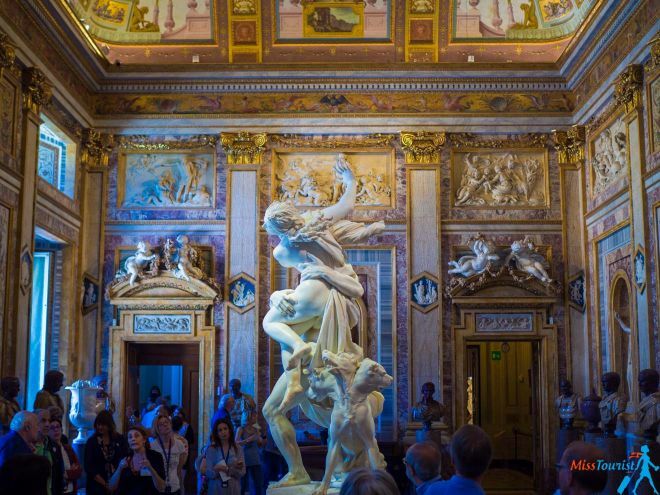 Self-organized tour: Here is more information about which sections of the museum are open after hours (quite many and the Sistine Chapel is included). Guided tour: If you would like to get a night guided tour (I ALWAYS recommend guided tours, especially in museums like this! ), you can book it here. Are you more of an early bird? No problem, I have a great choice for you too! How about getting in the museum an hour before it is officially open? 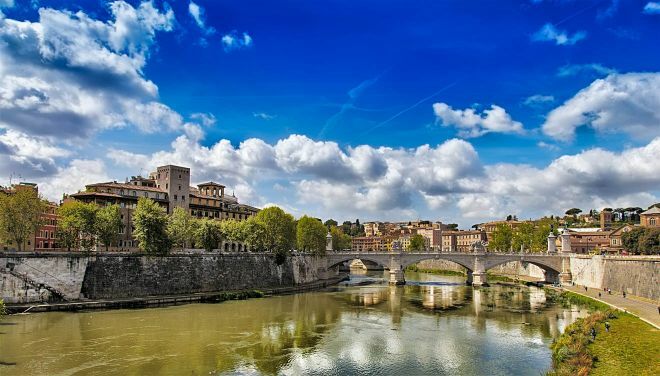 Visit the Sistine Chapel before the crowds arrive and enjoy skip-the-line access to the Vatican Museums, Raphael Rooms and St. Peter’s Basilica without people! By the way, an early entry also gives access to some rooms that are usually closed to the public. The guided tour lasts for 4 hours and I think it is just right to enjoy its many masterpieces. BONUS: How to see the Sistine Chapel without people? Now, do you want to know one more life hack? How about seeing the magnificent Sistine Chapel without people? Get the earliest ticket possible and go straight to the exit right away. Sounds strange, I know, but the Sistine Chapel is located at the end (see the official map here). You and a couple of more smart travelers like you will be able to have the place just for yourself! And after that, you can come back to the beginning and see everything else at your own pace. 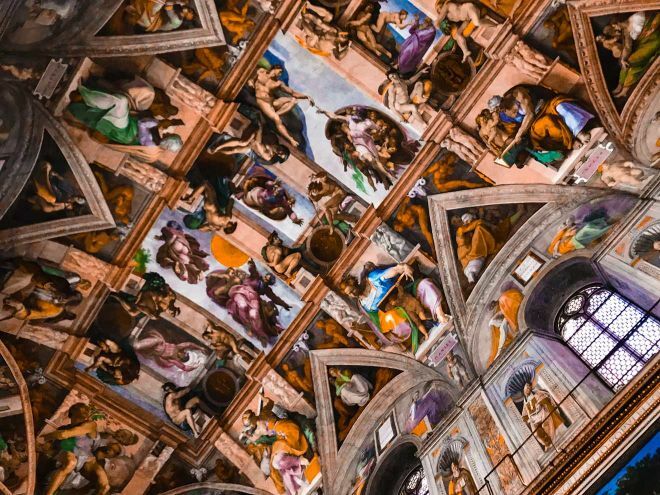 As a bonus, here is a free audio guide for you explaining the masterpiece of the Sistine Chapel, enjoy it! 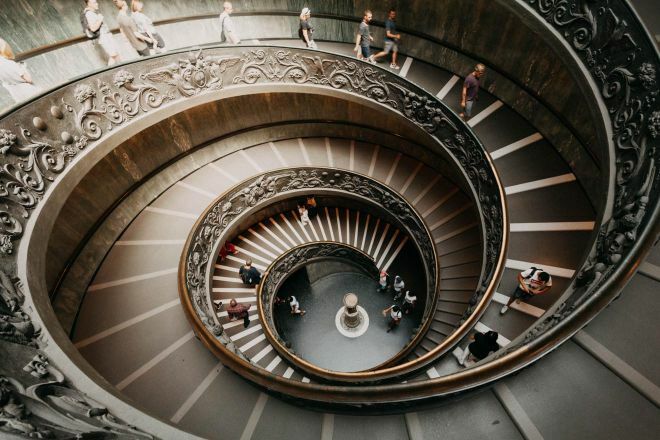 First things first – I know that many people confuse the Basilica and the Vatican Museums. Even if they are located 5 minutes walking from each other, there are not the same things and they have a different entrance! The entrance to St. Peter Basilica is free of charge and the only way to get there without crowds is to go early or through skip-the-line tours that get you into a reserved security check line with no people. PRO TIP: Do not forget to cover your shoulders and knees (you can take a light scarf for this purpose with you if it is too hot outside)! You will not be let in by the guards if you are not dressed modestly! But you will only figure it out AFTER you stay in the long line when you are at the entrance. There are some sellers that usually sell scarfs near the entrance for tourists, but they are HEAVILY overpriced, (~8€ for a scarf), so be sure to take something with you! Here are the opening hours of the Basilica, as you can see it is open as early as 7 a.m.
We all know that tourists on vacation usually do not wake up that early, so, chances are, there will be no line or a very short one. If you arrive about 20 minutes before the opening, you wait time is likely to be about 20 minutes. 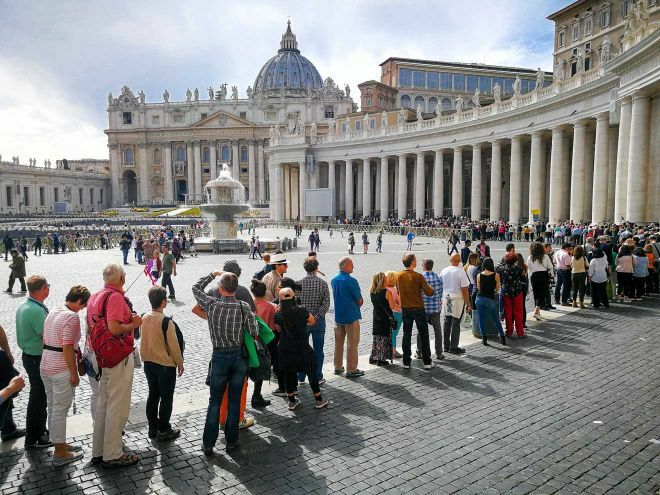 You will see the queue 4-5 times longer when you will go out from the Basilica. 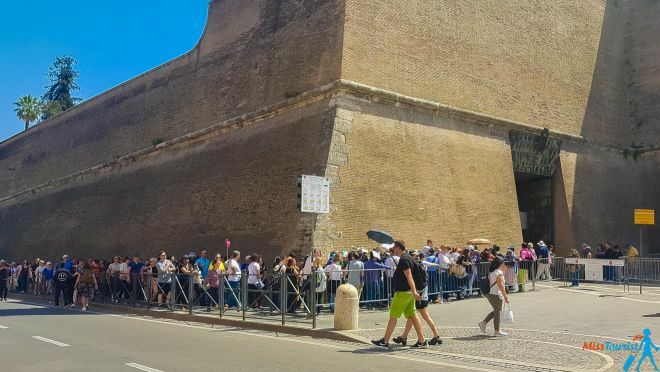 PRO TIP: If you do not have your heart set on meeting the Pope, I recommend avoiding the Basilica on Wednesdays and Sundays, these are the dates of Papal appearance and you should expect large crowds. This does not affect people who got a skip-the-line ticket of course (see solutions below). If you absolutely can’t make it early, there are more options, do not worry! There is a way to get an audio-guide that will let you skip the whole line. Even if the price for the audio-guide is higher than normal, you basically pay for skipping the lines. NOTE: Bring your own headphones please, otherwise they are available for purchase there for extra 1€. Also, do not forget your ID, you will need it as a deposit for the audio guide. To be honest with you, this tour does not give you much, only the priority access. The entrance to the Basilica is free anyway and the Audio guide can be downloaded inside the basilica for free. Therefore, if you want to save many hours in the line, I would pay a bit extra and at least get a guided tour (see the next option below). This option is only good for those who want to check out the Basilica fast and do not want to stay in the line. Guided tours are entered through a shorter exclusive access line, this might be helpful for those who want to get to know more information about the Basilica and who are not willing to stay in line. The tour will take about an hour and it can be organized in many languages, check the details and read the reviews here. As I mentioned above, there is an option to skip the line to BOTH the Vatican Museum and the Basilica. Here is the great group tour you have been searching for. This, to be honest, might be the best option in my opinion, as I see no reason to overpay for the simple audio guide just because it gives you an access to a reserved entrance. If you want a private tour, here is it. 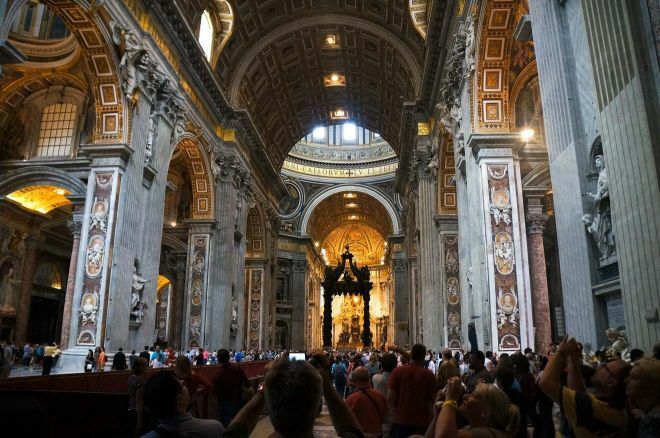 There is a free guided tour of St. Peter’s Basilica that is organized by The Pontifical North American College. The tours are given in English on Tuesdays, Thursdays, and Fridays beginning at 2:15 PM and there is no need to reserve it in advance, just show up in time outside the Visitor Information Center. The tour is in English, free of charge and it lasts approximately 2 hours depending on the waiting time in the line. You can read more information about the tour here. 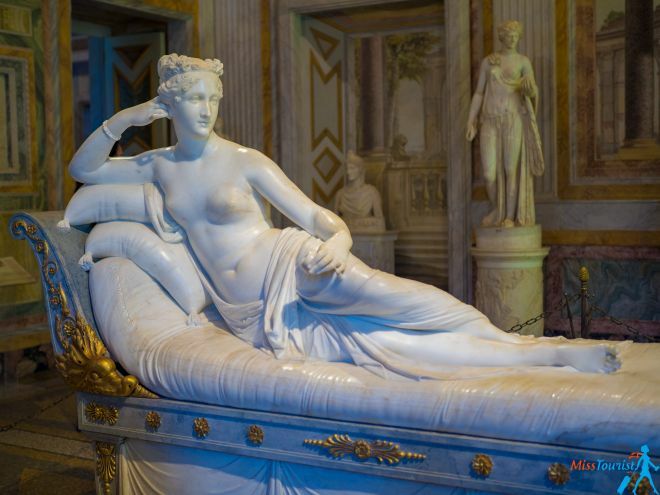 Galleria Borghese, located in the famous Villa Borghese park, might be my favorite museum in Rome, I have been there twice and I would go again! I sincerely hope you will pay a visit there! Borghese Gallery hosts a unique collection of sculptures, paintings, bas-reliefs mosaics mostly from the 15th to the 18th century. Even if the museum looks quite simple from the outside, don’t let that mislead you – it is posh and amazing from the inside! 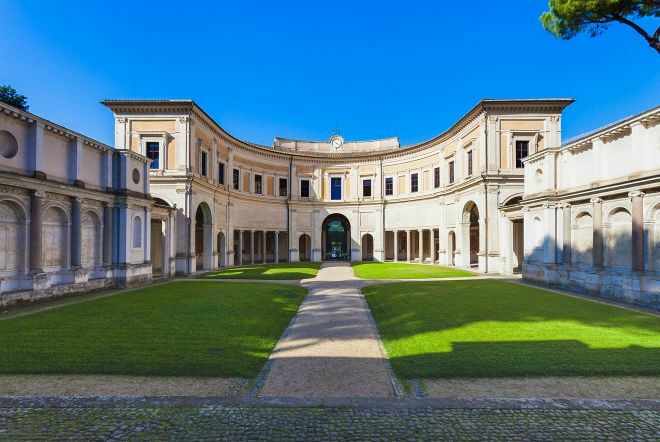 Moreover, it was specially designed that way by the architect so that visitors of the museum (back then, a private collection of arts by a powerful Borghese family) would get shocked by the beauty of the place inside, not outside. Borghese Gallery is also pretty much the only place where you CAN’T get in unless you have a ticket purchased in advance! It is done this way due to the big amount of visitors and the small size of the building. The limitation of the number of people allows visitors to truly enjoy the museum. And, believe me, there are things to get mesmerized about! NOTE: Each ticket gives you a 2-hour slot time in the museum, you are not allowed to stay longer because the admission is strictly limited to 360 people in the building at the same time. 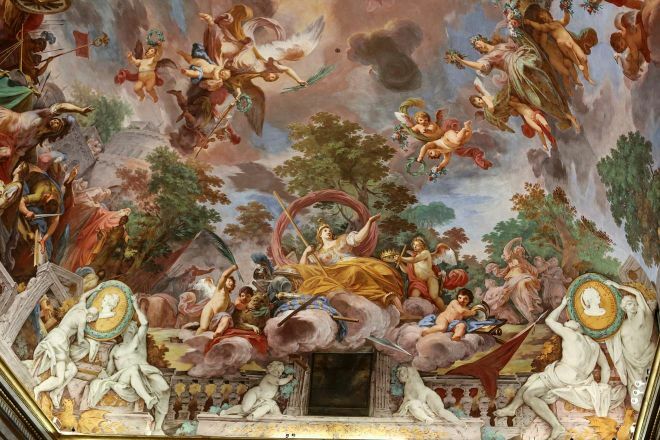 Here is the official website of Borghese Gallery. It is obligatory to buy tickets before you go, you will not be allowed to enter if you do not have a pre-purchased ticket. The price of the ticket is 15€ or 21,5 for a guided tour. If you are an EU citizen aged 18-25 you can enter for 8,5€ and the guided tour will cost 15€ for you. The audio guide cannot be reserved in advance and it will be an additional 6€, but since the guided tour would be just 0,5€ more expensive, I would go for it in that case. NOTE: Buying tickets to this attraction need planning of AT LEAST 2 weeks in advance as the tickets get sold out with the speed of sound! When I tried to buy my tickets only a week in advance (late April), everything was absolutely full already! UPDATE: I was told that sometimes it is possible to get last-minute tickets over the phone (if there are any cancellations that are not reflected on the website). As I missed the tickets from the official website, I then checked if anything was still available on GetYourGuide and I was in luck! I have no idea how do they still have tickets available when it is completely sold out on the official website, I guess they have their own pre-reserved spots? I don’t care and in fact, I am actually quite happy things turned out this way because my guided tour was fantastic! If you do not wish to take a guide, here is a skip-the-line normal ticket to Galleria Borghese, but I HIGHLY recommend taking a guide. As I said, I would not be able to appreciate the masterpieces of Bernini, Caravaggio, Raphael etc. as much as they deserve if I would not receive a proper explanation from a passionate knowledgeable guide. 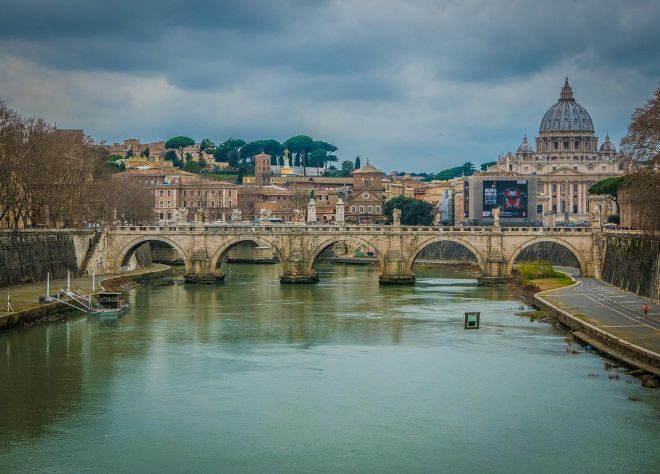 As I have explained in this post that compares all passes in Rome, Roma Pass offers a free skip-the-line entrance to 2 museums of your choice for 38,5€ plus the unlimited transportation in the city. 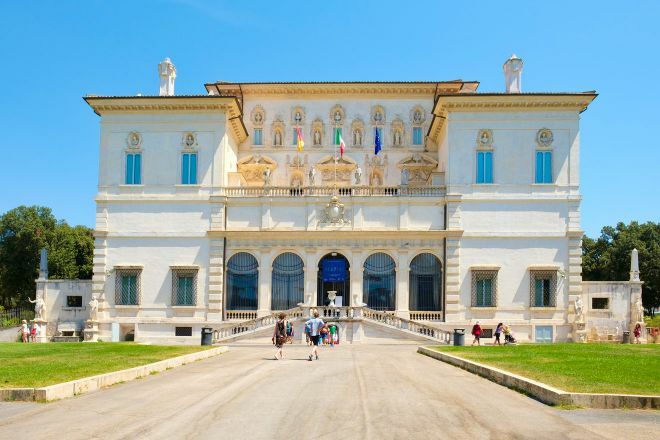 Borghese Gallery is in the list of free museums, so why not to take advantage of it? Do you also need to book in advance in this case? Yesss, you do! 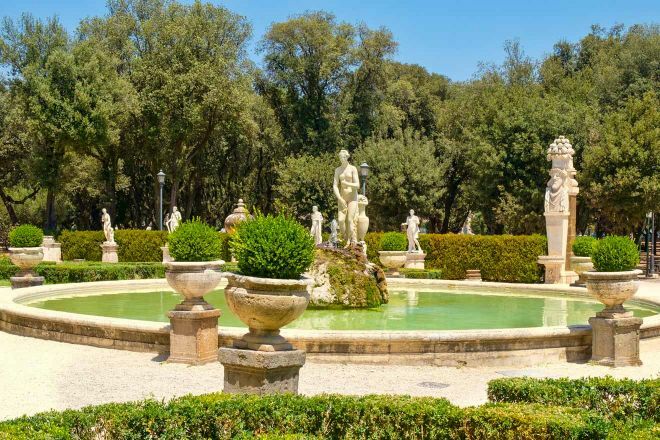 There is no usual 2€ reservation fee, it is free of charge with your Roma pass to book. How do you reserve your spot? You may do so either by email or by calling them. When calling by phone (+39 06 32810), please have your Roma Pass receipt close to you, they will ask for the number of the pass. Sending them an email ([email protected]) is probably easier since you don’t need to think about the working hours and the time zones. In the email, mention the date, the time (9 am, 11 am, 1 pm, 3 pm or 5 pm) and the number of people that will be visiting the museum. I would include your phone number just in case too. You will receive confirmation within 3 working days. 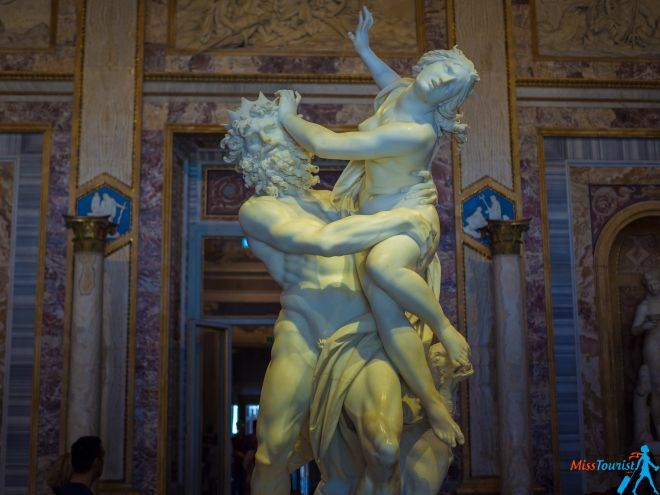 If you absolutely did not have the option of buying your ticket in advance or you only realized you want to go to Galleria Borghese on the day, you could potentially get in even without the reservation. You can buy your tickets from resellers at the gate, but the ticket cost will be muuuch higher than the original price. When waiting for my guided tour to start, I saw people buying the entrance tickets from resellers, but the price is much higher for the same service, plus, there is no guarantee you would get it, so, I would not recommend this option. 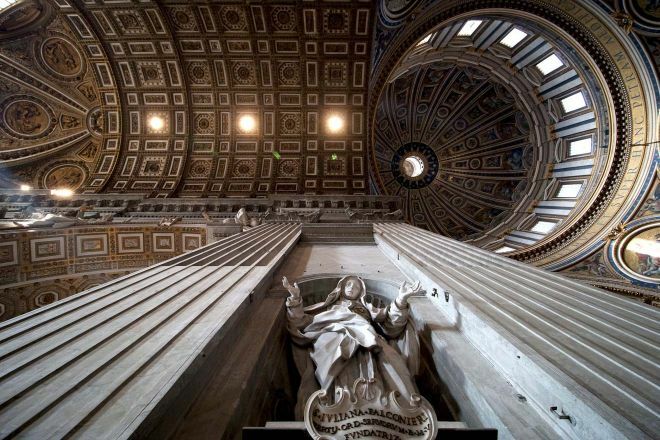 Climbing St. Peter’s dome (also known as “cupola”) is one of the highlights of Rome! 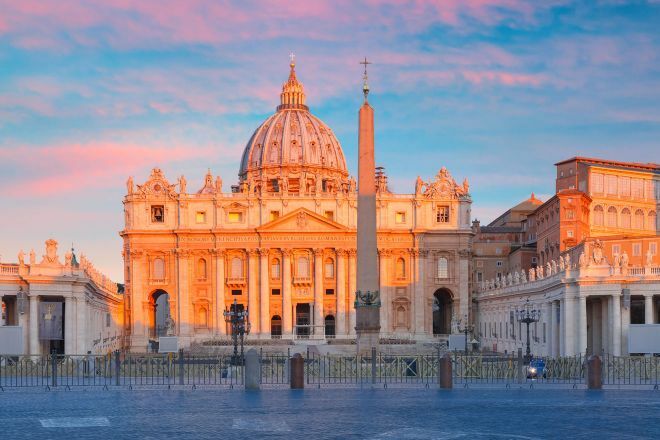 You will see the astounding beauty of the Basilica from the inside and then the famous postcard view of the St. Peter’s Square and the Vatican museums from the outside. To reach it from the entrance to St. Peter’s Basilica, turn right after the security check. There will be a sign that will direct you to the tickets kiosk that is located on the far right of the portico. You got it right – this place is also very crowded and the average waiting time is about 60-90 minutes. 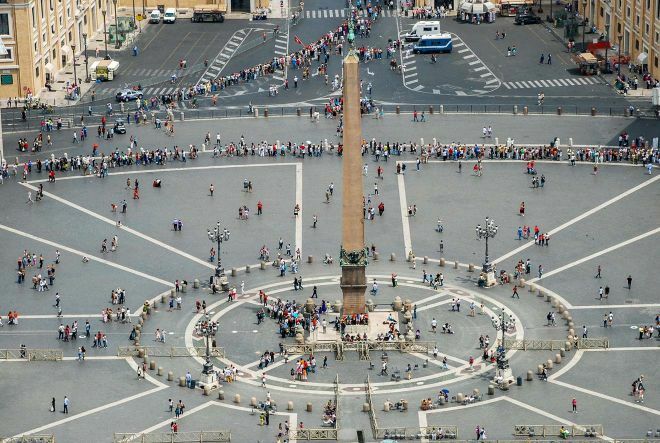 In fact, I have only been there once during my entire time in Rome (which was 2 years) because of those crazy lines. Skip-the-line access is not possible at the Dome, but I have eventually found a tour that combines the skip-the-line entrance to the Basilica with a reserved access to the Dome and the Crypt. It is an early tour so you will get to avoid the crowds. 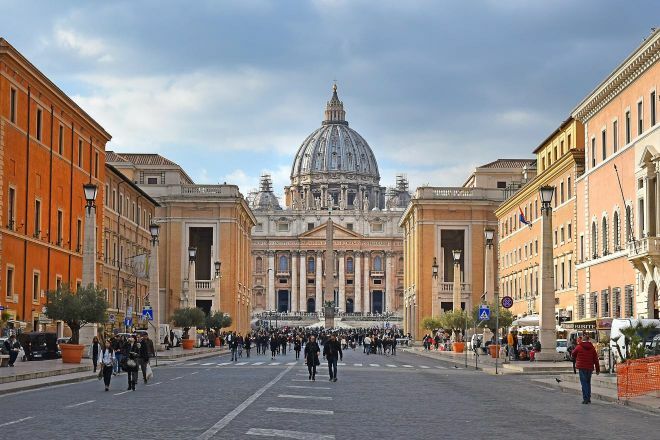 You will head to the dome of St. Peter’s Basilica to take the special elevator to the first terrace of the dome to get a close look at the mosaics, climb the stairs to see the stunning famous view of the Vatican Square. Then there will be a guided tour of the Basilica and you will end with a rare visit to the papal crypt. While the Basilica opens at 7 a.m., the entrance to the Dome opens at 8. If you do not want to spend money on a live guide (as offered above), I would suggest getting inside the Basilica when it opens and then being one of the first ones to climb to the Dome at 8 am! You can choose between two options to climb there – 8€ and you climb 551 steps or 10€ and you climb only 320 steps (the rest is an elevator). The Dome climb is interesting and the view inside the base of the cupola is quite spectacular! You choose yourself which option you prefer, either way, you will have to climb a bit. Here is the information about the price and the opening times (sorry, it is only in Italian for now). PRICE: 10€ with the elevator, 8€ climbing the stairs. There is no online payment option at the moment, you need to buy your ticket at the kiosk. 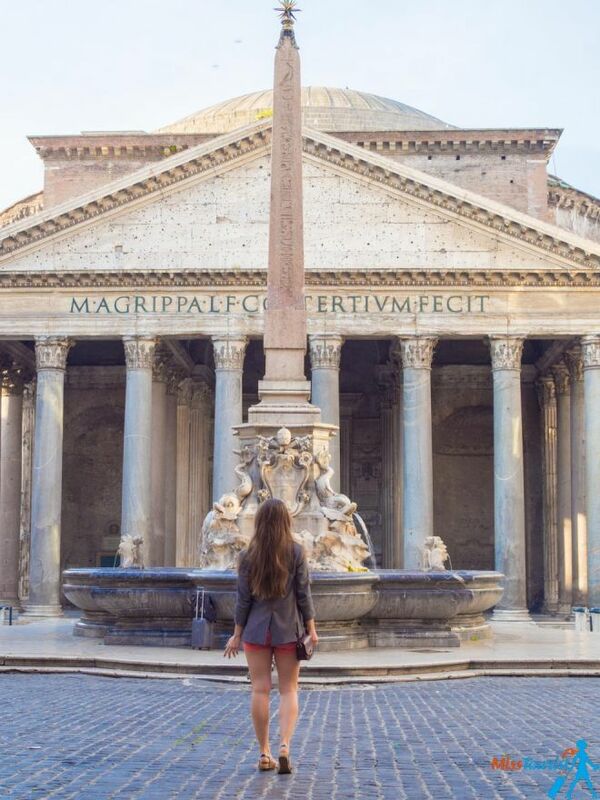 Pantheon is an impressive ancient building preserved spectacularly since the ancient Roman times and you can enter it free of charge! 2 000 years ago it used to be the temple of “all the Gods” (“Pan” – all, “Theos” – Gods in Greek), and now it serves as a burial place of many famous people like Rafael. The only problem with visiting this place? Of course, it is always very crowded there! There are no crazy long lines like with the previous 5 attractions to enter, but you will probably feel like it is way too many people there. You will have a place just for yourself, I was there at about 8 am and there was literally no one there, so I could take a picture like this. You will be able to try an amazing coffee just in front of Pantheon and at 8 30 its doors will be open for visitors. You can download a free (!) 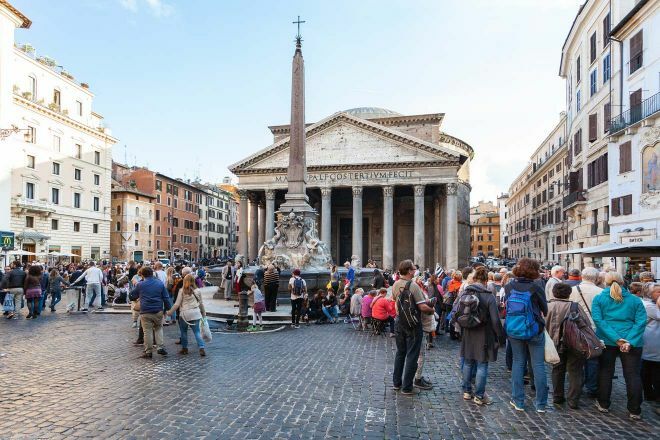 audio guide to get some expert guidance around Pantheon (there are famous tombs of composers, painters and royals located inside so you will learn much more than you would by yourself). Click here to download it to your phone. There is no skipping the line, exclusive after-hours tours or secret entrances this time. If you want to see these stunning places when they are not crowded, you got to wake up early! 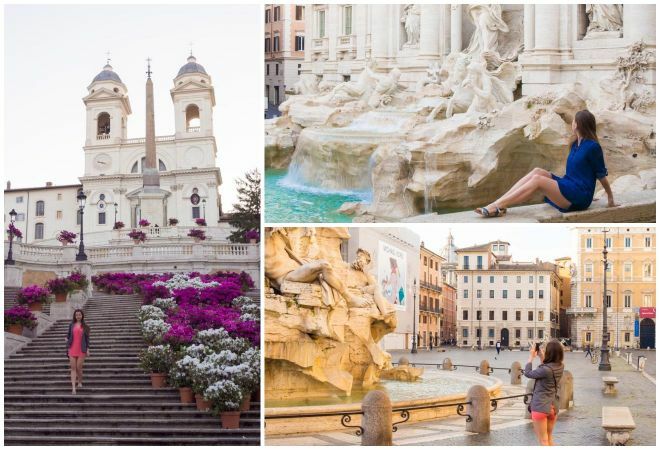 All the very important and beautiful sights of Rome – Fontana di Trevi, Piazza di Spagna, Piazza Navona –get flooded by tourists after about 9 am. If you manage to wake up very early just once and make a tour of all these points, you will see them without people, and, trust me, it will be magical! We have done it fast because we had a scooter, more on transportation here. UPDATE: You guys asked me on Instagram a lot to share my tips on some great and off-the-beaten-path things to do in Rome. I heard you, so here you go! 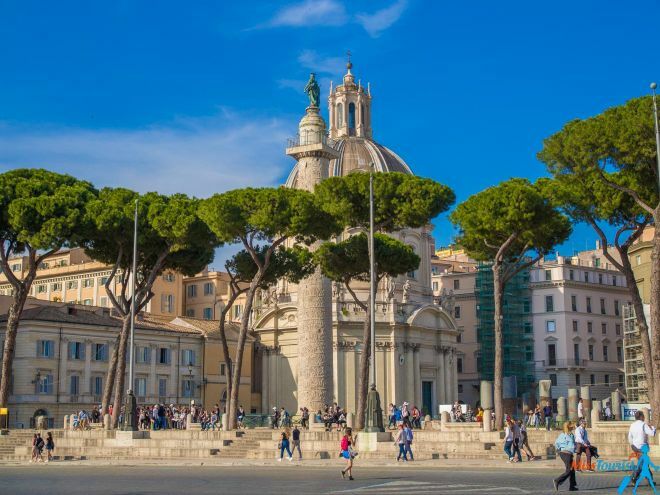 It is almost always a season to go to Rome and you should expect it to be crowded from April to October, but Christmas and Easter holidays get a lot of people as well. 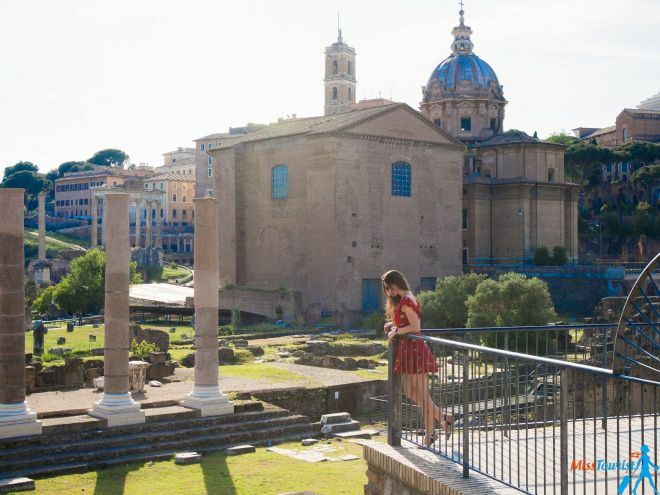 My personal favorite time of the year in Rome is May and September – it is warm already (but not hot). There are many tourists of course (there are always many), but not too crazy yet. This means that the queue to a good local restaurant will be shorter and you won’t need to push other tourists on those narrow Roman streets. Here is my selection of hand-picked awesome reviews hotels all located in the city center sorted by budget. Remember, they get sold out very fast, so book as much in advance as you can! Luxury (US$230 and above): I recommend HT6 Hotel Roma for a luxury holiday because it has amazing Art Nouveau room decorations, free WiFi, in-room spa baths, daily buffet breakfast and more! The Pantheon is 700 m away from this hotel! Margutta 19 – Small Luxury Hotels of the World is a real 5-star accommodation situated less than a 10-minute walk from the Spanish Steps. The accommodation has elegant rooms, nice terraces and luxury services! Middle (US$110 – US$230): For a middle-budget traveler I recommend Eccelso Hotel. This is a 3-star hotel with super clean and stylish rooms, situated in the city center, only 400m away from Vatican Museums. My other recommendation is Reginella Suites – yummy breakfast, clean rooms, beautiful decorations and quality services for a good price! Budget (up to US$110): AppleMoon is an amazing budget accommodation right in the heart of Rome! This is an intimate guesthouse with classy rooms, private bathrooms and air conditioning! Another choice can be Residenza Cadorna – cozy rooms, free WiFi and an equipped kitchen will await you in the center of Rome! 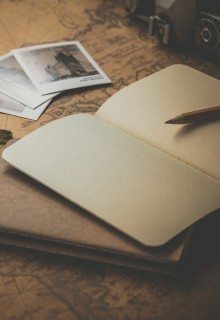 This is it for now, I hope this post was useful to you! If you use all the tips mentioned here, I am sure it will save you hours and hours of your precious vacation time! 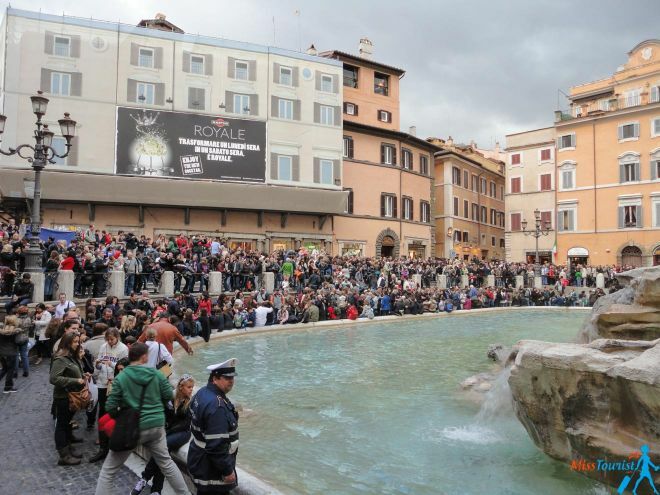 The lines to attractions in Rome are notorious, we all know that, what can you do. But if you plan your visit to 4-5 most important attractions ahead, you will beat the crowds and it will make your holiday much smoother, believe me! 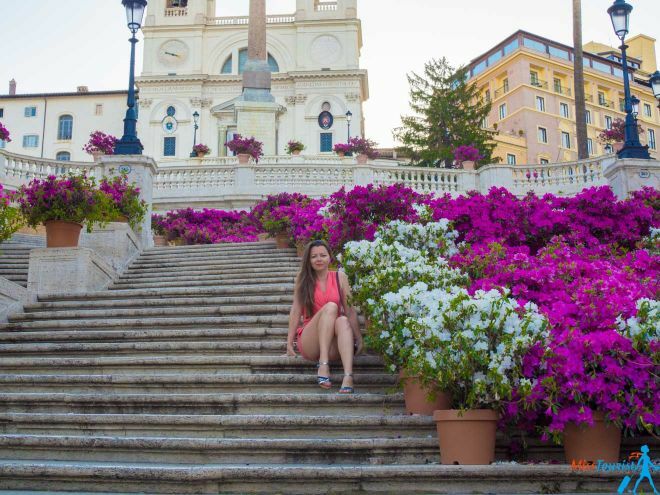 I hope you will have a wonderful time in Rome using my tips! Do you have any other question about Rome? I know quite a lot about it, so I will be happy to reply! Ask me in the comments section below! This was so helpful! We’re going this summer and appreciate all of your tips! Happy to help, enjoy Rome, it is such a fascinating city!